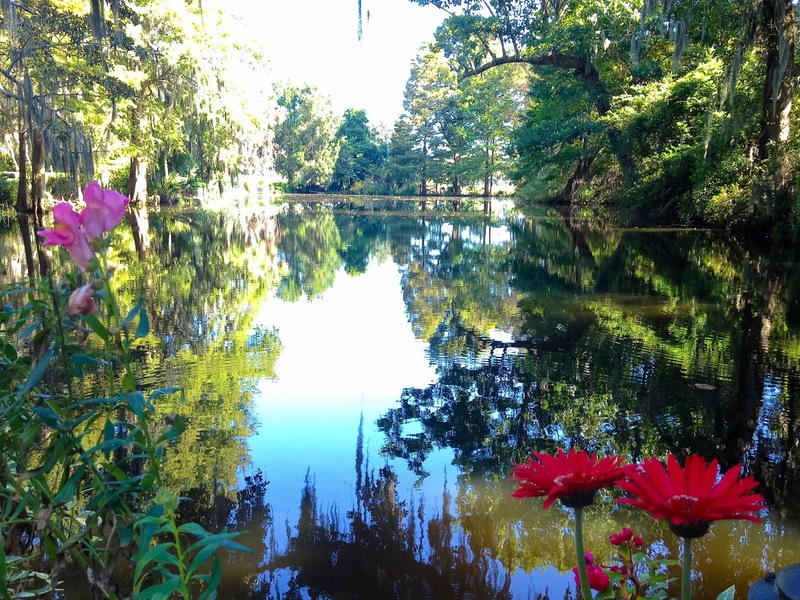 Located on the Ashley River in South Carolina, Magnolia Plantation and Gardens is a museum and garden and is one of the oldest in the Southern United States. The plantation dates back to 1676 and was reconstructed after being damaged during the American Civil War. Thomas and Ann Drayton built a house and garden on the site in 1676 and the family still controls the estate today. Originally, Magnolia was used as a rice plantation, with slaves from Africa brought in to do all the work. The language, ‘Gullah’, comes from the mixture of their original African tongues, with a bit of American-English thrown in. The language is very much still alive in this part of the US. 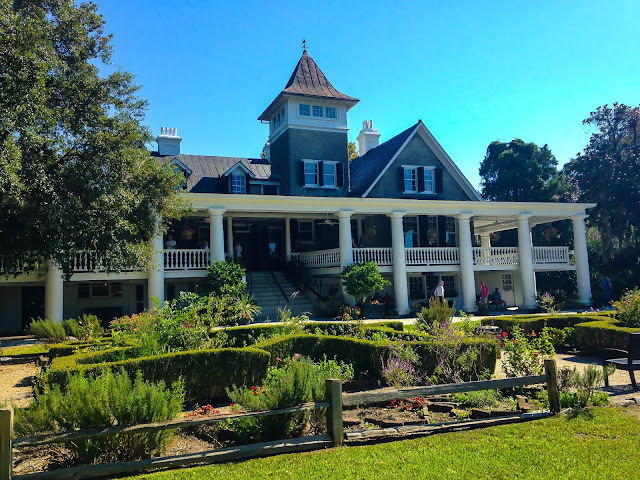 The Magnolia Plantation and Mansion House is now operated as a tourist attraction and charge a reasonable entrance fee. Some of the elements of the estate have been restored, including the plantation house, which was torched during the American Civil War. Aside from the glorious mansion house, there are many other attractions within the boundaries of the estate. These include the plantation gardens; camellia collection, wildlife refuge, a fabulous wooden tower that provides views out across the river, a tropical garden, biblical garden, and a maze, amongst others. There is also the lovely outdoor Peacock Café for snacks and drinks under the beautiful shade of gorgeous live oak trees. We wandered around the grounds in baking heat and the colours from the flowers, the lovely little bridges across the water, and the live oaks were fabulous. Magnolia is so spacious and peaceful that it sometimes slips your mind that some of its history really isn’t all that appealing. Magnolia does have the title of the oldest public gardens in the US and has also been named as one of America’s most beautiful gardens. Given the sheer size of the country, that’s not a bad shout. I haven’t been in all the other gardens in America, so I can’t really comment. It is gorgeous, though. 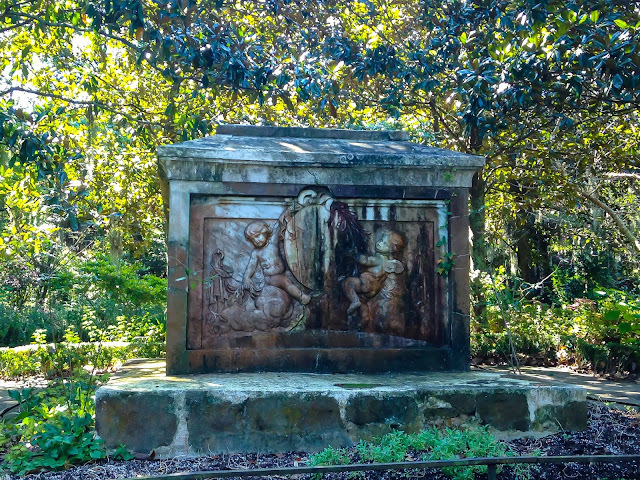 Apart from having a good old wander around the gardens enjoying the views, you can pay an additional fee to participate in the Slavery to Freedom Tour. You can hop a shuttle bus to the slave huts and learn more about the history of the plantation, as well as showing a film of the history of African-American culture. The Nature Train will, if you're lazy or short on time, whizz you around the gardens and show you things you may not otherwise have the opportunity to check out. 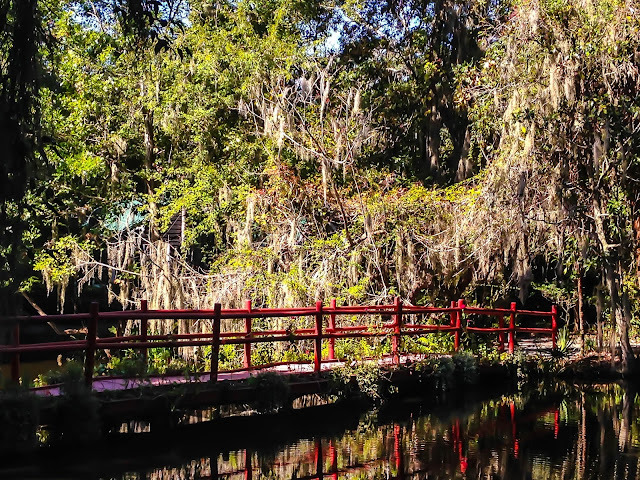 The Rice Field Boat Tour will also whisk you away, but this time down the Ashley River for an hour of sightseeing and panicking about the size of the local gators. Obviously, you can also take a tour of the mansion house and swan around pretending you're Scarlett O'Hara for 45 minutes. That's what I did, anyway. Although these attractions are all charged for (in addition to the basic plantation admission fee), entry to the Zoo is free of charge, so it'd be rude not to go say hello to the animals. You can also feed and pet them. I love a good cuddle with anything that's cute and doesn't like the taste of human flesh, so it was heaven for me. Magnolia's entry free is $15 for adults and, even without adding on the extra tours, there's plenty to see and do if you're on a tighter budget. Have you visited Magnolia? What was your favourite part of the experience?